Vampire style wig with no fringe. 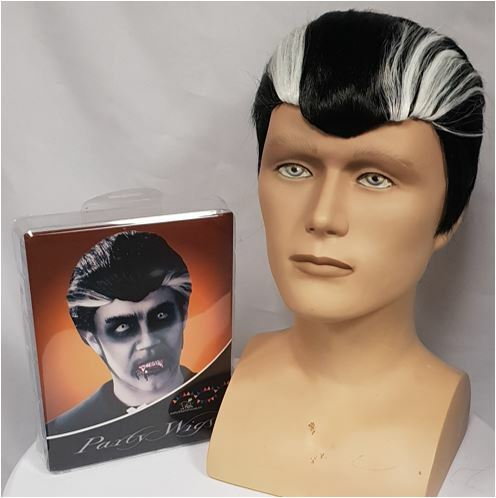 Black with widow’s peak and white streaks. For a very classic look. Add a Vampire cape with collar and some face paint.